Today, everybody is in a hurry. We don’t have the luxury of time in our caffeine fuelled lifestyles. This need for speed is pervasive in every aspect of life, from meeting people socially for the first time and drawing our conclusions, to business meetings and particularly in our online lives. We surf, we shop, we search – we intake information at a blinding rate. If the information we are ingesting isn’t to our satisfaction, we have the ability to close the screen or cancel the shopping basket. This is certainly the case with corporate videos online. Many clients come to us with grand plans of producing a 20 minute masterpiece which covers all sort of aspects of their business. From USPs to instructional aspects of equipment to senior exec interviews or training – clients assume that their customers will sit at their desktops ad finitum and lap it all up. The reality though is that people rarely are prepared to take the entirety of the client’s epic vision in one sitting. No matter how existing or stimulating the content is to you, the reality is that your end customer is probably switching off after a few seconds. Here at Hightower, we always advise clients during the scripting and pre-production stage to keep it brief. Having a series of short, snappy videos is far and away the preferred option in our experience. 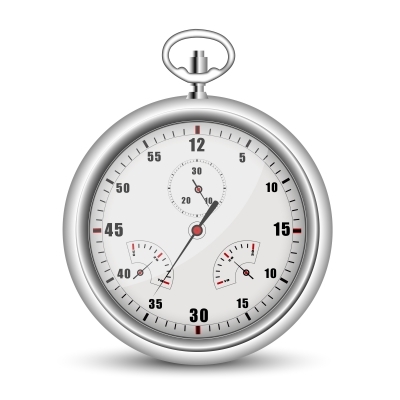 One to one and a half minutes is the ideal length to fluently cover one aspect or USP of your organisation. The other advantage of keeping it short, specific and to one point is that the content can be shareable, and people will be more inclined to share it if the content is well marked and useful. Some recent examples of point specific web videos are the How to Videos we recently produced for SanDisk. These cover one element of a SanDisk product and show and engage the viewer with a useful snippet of information. These videos have been put on SanDisk’s branded Amazon pages. As anyone who’s visited Amazon will attest – it’s very easy to get waylaid and takes something pretty special to engage you on a page.